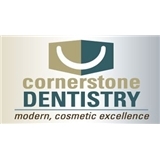 Cornerstone Dentistry (Roselle) - Book Appointment Online! Tuff to find a dentist you are comfortable with. I did. I've seen quite a few dentists in this office. Sure hope she stays around.